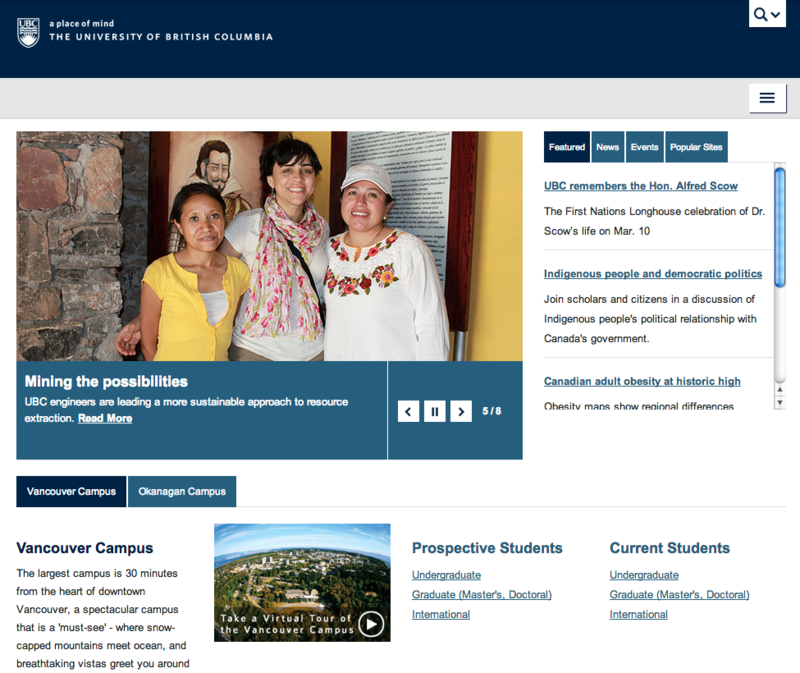 Come for a quick overview of the common look and feel theme on CMS @ UBC as powered by WordPress. We'll go over the different theme options to help you decide on how to best customize your own site. The 2nd part of the session will be all about any burning questions you might have. Feel free to bring your own computers and work on your own sites. Please take note that this session is intended for those who have attended a WordPress Basics session or are already have a CMS @ UBC site. 1 What is the CLF? 2 What are the Features? 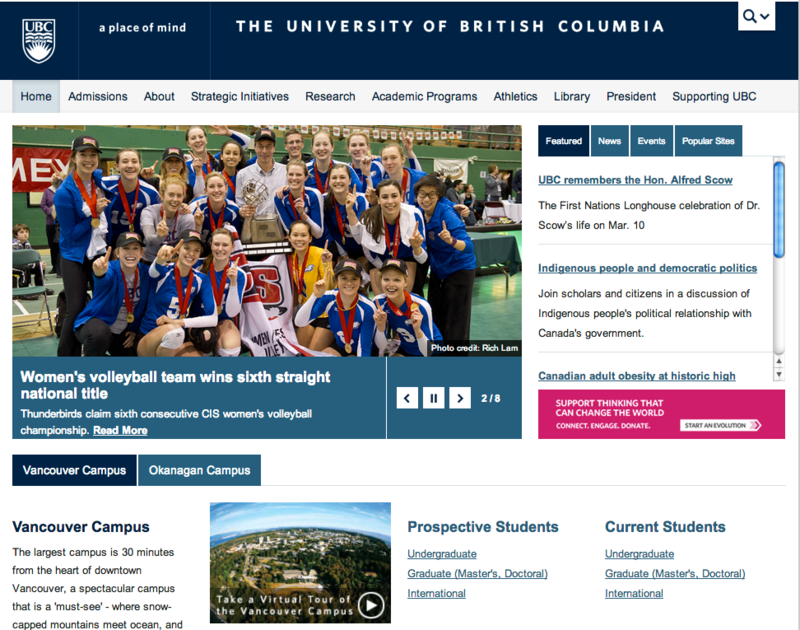 The UBC CLF, or "Common Look and Feel," is a web design framework that supports the University’s Brand Identity and online reputation by providing a common look, feel, and functionality to UBC websites. Developed by Communications & Marketing, the design of the UBC CLF is the result of ongoing consultation among audiences and stakeholder groups such as the Web Advisory Council and UBC's communications and web professionals. 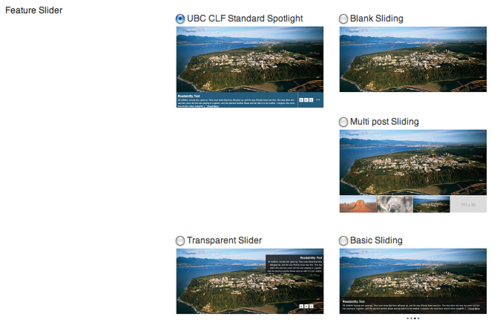 On CMS @ UBC, the CLF comes as the default theme called "UBC Collab with built-in features for customization in your own context. More info about the CLF is available at http://clf.ubc.ca. 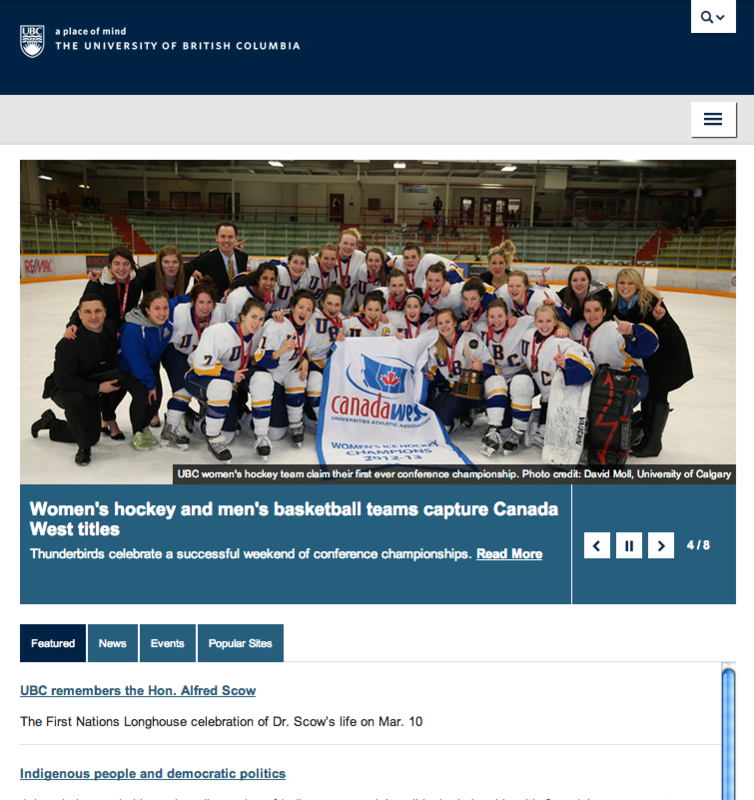 UBC Collab has implemented responsive design that changes the layout of your site to fit any kind of screen size, from desktops to mobile phones. 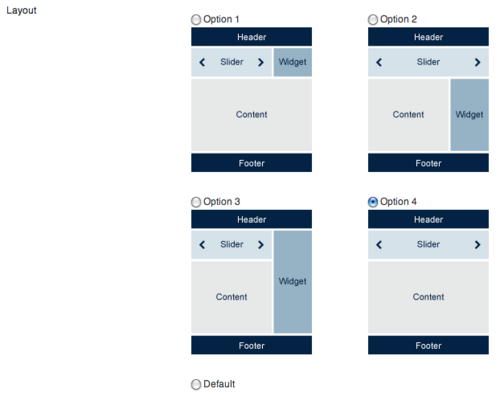 Choose to have one or more columns for your layout where the wider area is for your content. The narrower areas are sidebars and for widgets. Choose from among 4 layouts or build your own by using the Default option. Choose from 5 different styles but keep in mind on how they will look like in smaller screen sizes. Continuously ask the question: "Is this piece of content important?" Ask the question: "Is the content readable and accessible even without the design?" Will you be able to support the customization? WordPress Basics workshops are offered throughout the term. Please visit http://events.ctlt.ubc.ca to when the next session will be offered. This page was last edited on 7 March 2013, at 19:40.